Steven Tyler is celebrating the big 7-0. The Aerosmith frontman, who was born on March 26, 1948, in Manhattan, New York, is now a septuagenarian. 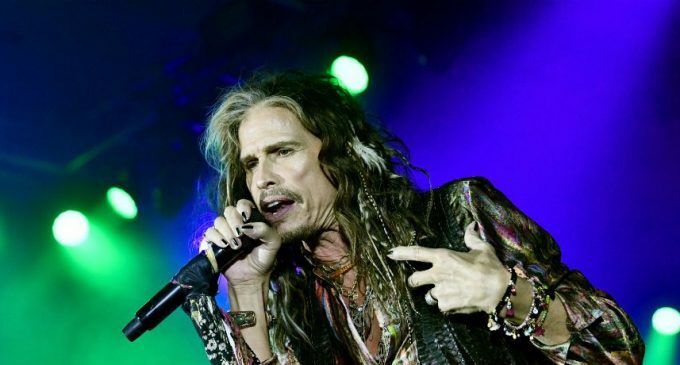 After living what seems like nine lives, Steven Tyler is past retirement age, but he doesn’t seem to have any plans on slowing down. In fact, the rock legend is busier than ever, based on his recent resume. In the days leading up to his 70th birthday, Steven Tyler announced a solo tour with Nashville backup band Loving Mary that will cross North America and Europe this summer. In addition, Tyler’s wild and crazy life will be chronicled in the upcoming documentary Steven Tyler: Out on a Limb, which will debut May 10 at the Nashville Film Festival. According to Yahoo Entertainment, the Out on a Limb documentary will feature plenty of sound bites from Steven himself. The film will take an intimate look at the Aerosmith frontman’s many career choices, which include his two-season stint on American Idol and a switch to country music for his first solo album, We’re All Somebody From Somewhere, in 2016. In addition, Beatles legend Ringo Starr posted a birthday message for Steven Tyler, which you can see below. In the message, Ringo toasts his longtime pal with a cup of coffee. Tyler didn’t reveal his plans for his 70th birthday, but he often posts his activities on social media. Last year, Steven went to Disneyland to celebrate his 69th birthday where he posed with a Star Wars Wookie. Steven Tyler fans may recall his 64th birthday, which was spent on the set of American Idol. At the end of the live show, the top 10 finalists took the stage to sing “Happy Birthday” to Steven, but the rocker got the surprise of a lifetime when his longtime Aerosmith bandmate and Toxic Twin Joe Perry crept out from behind the row of contestants with his guitar to join in. You can see Steven Tyler’s emotional reaction to his surprise birthday serenade in the video below.